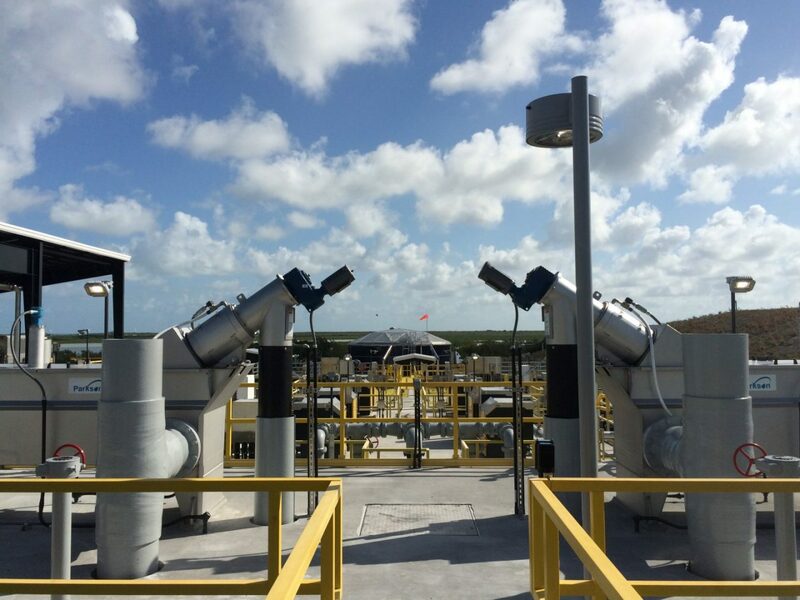 FKAA Cudjoe Key Advanced Water Reclamation Facility (AWRF) | Wharton Smith, Inc. 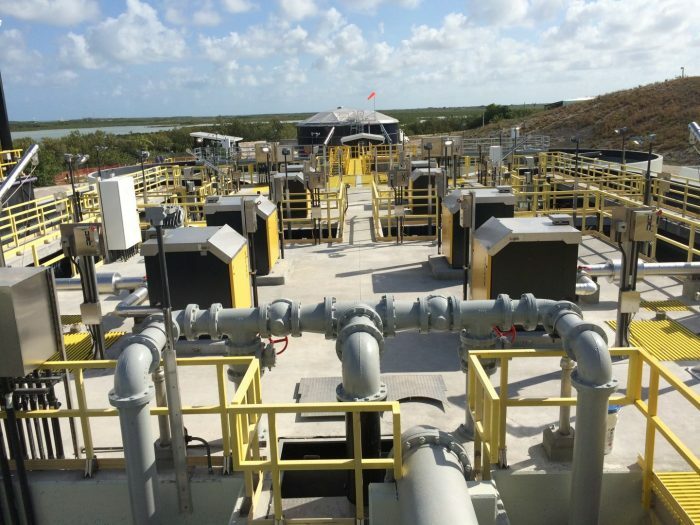 The new Cudjoe Key Water Reclamation Facility has an average daily design capacity of 0.94 MGD, and uses a five-stage bardenpho system capable of meeting the rigorous, Advanced Wastewater Treat (AWT) Standards, mandated by the State of Florida. 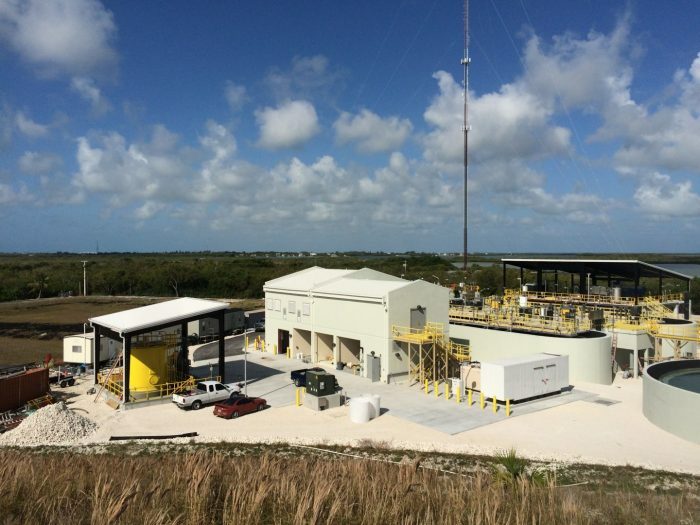 Construction consisted of new offsite influent forcemains and water transmission main to the site, site preparation, and the new AWRF facility including an operations building, process control room, control room, electrical room and chemical feed and storage; influent screening facilities; two flow equalization basins; two five-stage biological nutrient removal treatment trains each including anaerobic, 1st anoxic, aeration, 2nd anoxic and reaeration basins; two secondary clarifiers; two cloth disk tertiary filters; chlorine contact basin including two serpentine channels and plant effluent reuse pumping facilities; four shallow injection wells; and standby power.